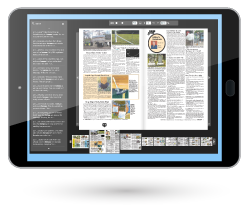 1 FREE Book + 2 BONUS eBook PDFs! 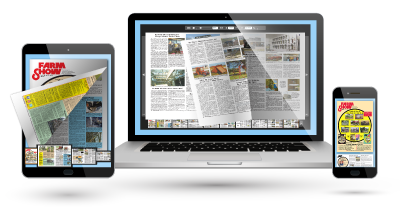 Access to "Flip-Books" of every issue to use on your Phone, Tablet or Laptop! 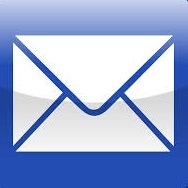 Take FARM SHOW With You! 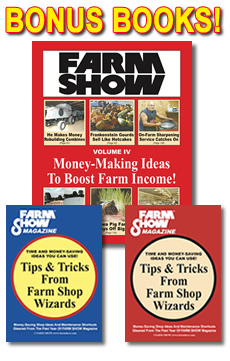 Our huge Archive contains more than 210 issues, with over 25,000 interesting stories about unbelievable made-it-myself farm inventions, handy shop tips, clever time-saving tricks & money-making ideas to help boost your farm inconme! 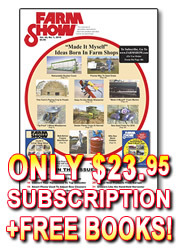 Subscribe Today to gain UNLIMITED ACCESS to our vast Archive of Back-Issues! 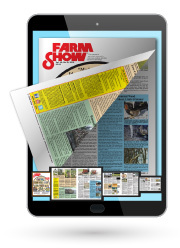 FARM SHOW's Archive is "searchable" to help a Subscriber easily search and find all the articles that are about a specific topic or contain certain keywords.